Moldova denunciated the Eurasian Patent Convention on April 26, 2012. However, the patents obtained before this date and patents obtained after this date but with the filing date before April 26, 2012 are duly valid until the expiration of their validity term. 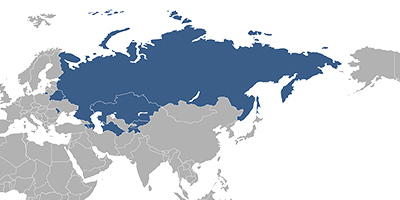 The authorised body responsible for granting the Eurasian patent is the Eurasian Patent Organization based in Moscow, Russia. The Eurasian patent may be granted for inventions only. Fees associated with registration of patents in Eurasia are available in the fee calculator.